Hello and welcome to Ability Jobs Plus. Employment Opportunities For People With Disabilities. Ability Jobs Plus recognizes a serious lack of employment opportunities within the disabled community. Currently in the United States there is over 54 million unemployed (non military) individuals, and over 3 million disabled unemployed Military Veterans. This is the reason why AbilityJobsPlus exists. Our main focus is to educate the community and the public in general. We want to help disabled individuals reintegrate into the work force and or enter the working world for the first time. The disabled community is the largest and most neglected minority and we do have the desire to work, but we're just not always given the opportunity. With the help from community leaders and business owners, together we can bridge the gap that has gone over looked for far too long. Job seekers are and will always be 100% free. 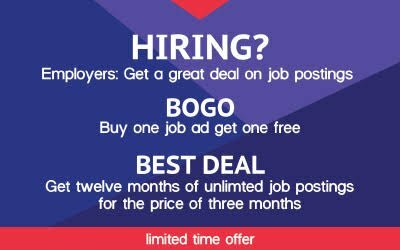 Register today for free, upload your resume, and find quality employment from companies that are looking for your job qualifications, skills and talents. Did you know that there is over 54 Million (Non Military) U.S. Citizens that are disabled and unemployed? Did you know that there is over 3 Million Military Veterans that are unemployed and disabled? Did you know on a global scale there is over 1Billion individuals that are disabled and unemployed? The disabled community is the largest and most neglected minitory in the United States and around the world. One in seven people has a disability. It's likely that you have a family member or friend with a disability. It is clear the system is broken with over 54 Million U.S. (Non Military) individuals and over 3 Million disabled Veterans that are unemployed.